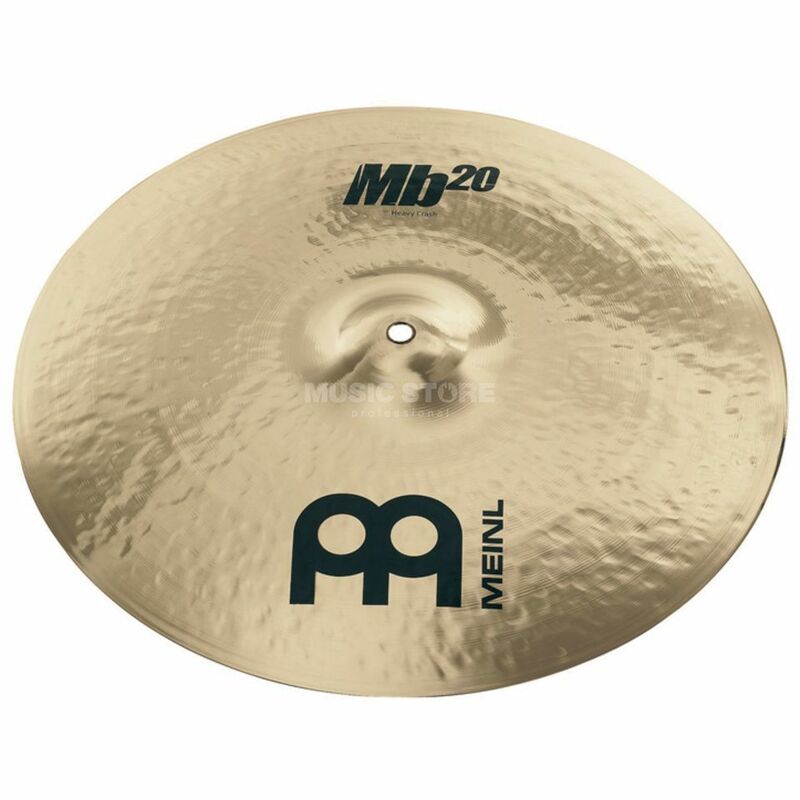 The Meinl MB20 Heavy Crash 16" is a heavy crash cymbal with a 16" gauge made from a hand hammered B20 cast bronze alloy, with a brilliant finish. The Meinl MB20-Series is a selection of cymbals crafted thanks to a combination of premium B20 Bronze, true craftsmanship and high quality material. The series stands for aggressive sound, musicality and assertiveness at the same time. Because of their heavy weight they have a very penetrating and brilliant sound. The MB20 Heavy Crash Cymbal creates a loud and direct sound with a clarified response. This heavy cymbal has a heavy sound with a mix of explosive power and tone for cutting projection.